When stress builds up and monotony sets into your life, it’s important to take a knee once in a while and enjoy the little pleasures of life. Stress is the root of a number of different ailments, it can cause a person to become agitated, antisocial and frustrated. Cool down that hot head with a refreshing splash of aqua therapy as you indulge in a few aquatic adventure sports to beat the heat. It’s the perfect remedy to help you forget all your problems and live in the moment. Battle the rapids, with the wind in your hair as you splash around in cold water. So what are you waiting for? Pack your bags, roll up a towel and take a plunge into the wet, slippery and exciting world of water sports. Here are the top 5 Water Adventures that you can enjoy during your next holiday and make some waves of your own. 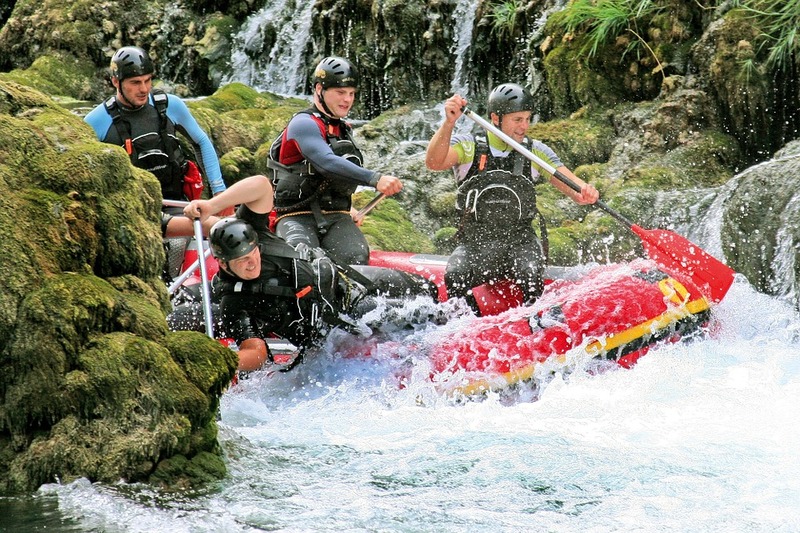 Rivers can be an intimidating force of nature, especially while white water rafting. Follow the laws of the river and it will reveal to you a treasure trove of scenic beauty, hidden beyond its every turn. Follow the river as it slithers past hills, plains, valleys and thundering white waters. 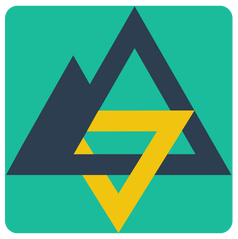 Navigate your way through the chaos, dodging boulders and working together with your team to keep the raft afloat. Feel the blood rush through your veins as you fight the elements to eventually reach calmer waters. There is no better way to substitute your fear of the ocean with curiosity and Scuba Diving is just the sport to help you bring in that change. Since 71% of the earth’s surface is covered with water, even the most experienced of travelers have not been able to witness all the beauty that nature has to offer if they haven’t been scuba diving. 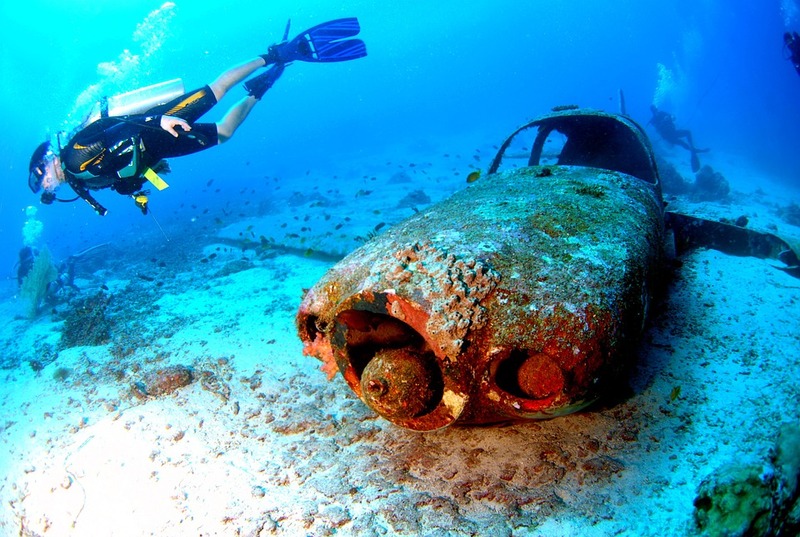 Armed with an independent air supply to help you breathe and move freely underwater, scuba diving is more an experience of discovery than an aqua sport. So slip into that wetsuit and drift into a world of beauty and awe. Working out at the gym can seem a bit repetitious, colourless and stressful at times, staring at the same grey and beige walls, the constant clank of metal plates being lifted beside you, as you run aimlessly in one position on a treadmill. The sea offers you a scenic and natural way to achieve those fitness goals. 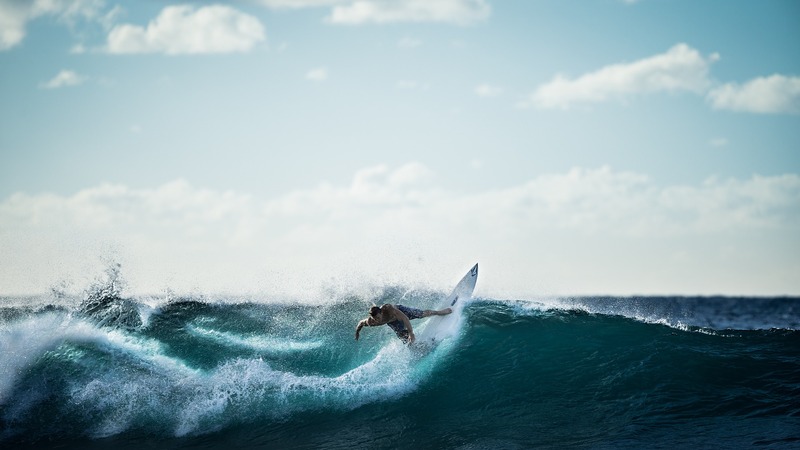 Surfing helps strengthen muscles, build tolerance, and reduce stress, all this while you enjoy the crisp sea breeze and the calming sound of waves breaking shore. The experience of tunnelling through a wave is psychedelic, to say the least. As you glide through these marble-like pillars of water it is easy to forget your problems and live in the moment. Although these manoeuvres take a fair amount of practice, one venture on a surfboard is enough to get you hooked on for life. The feeling of speed, awe and ecstasy will grip you as you reach the shore and run back for more! A common misconception regarding kite surfing is that “one requires a lot of strength’. However strength is not a prerequisite to indulge in this sport, it’s a sport for all ages and has more to do with the technique than with gripping on to a kite as it drags you across the waters. It is the best remedy to the “Lazy Beach Syndrome”. 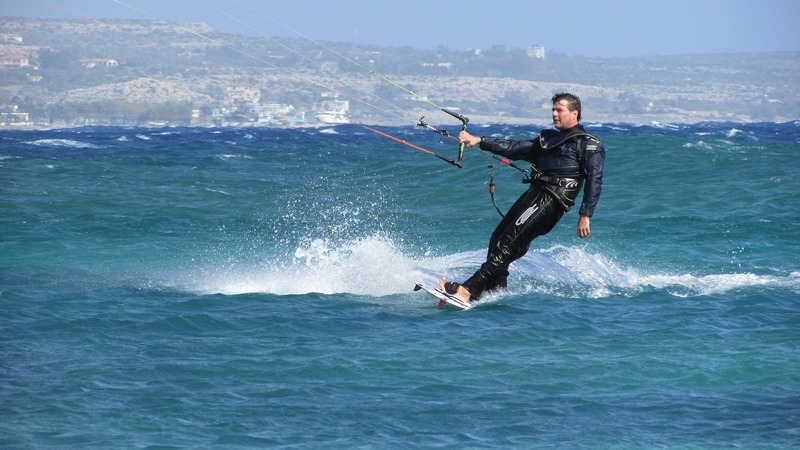 Kitesurfing harnesses the air currents to help you zip through the water at astounding speeds. The wind in your hair and water under your foot is an amazing experience, as you break through waves and swerve through the water and is especially more breathtaking as the sun sets over the horizon into an endless ocean. 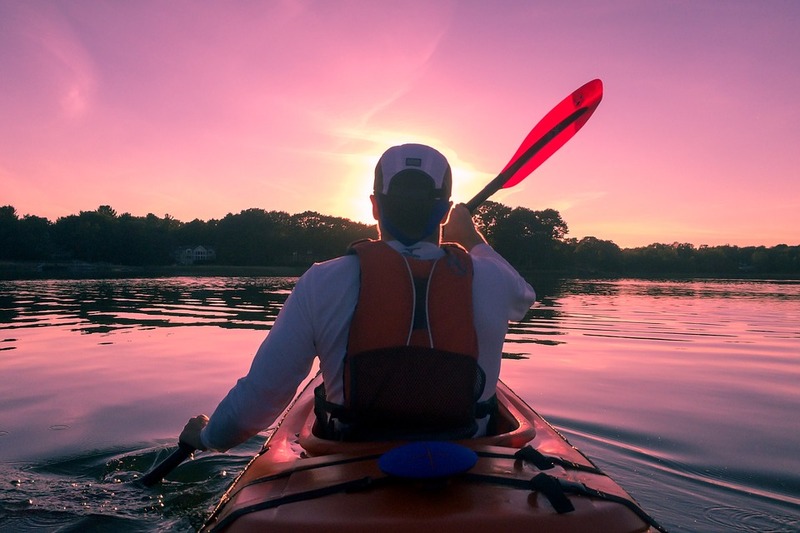 Kayaking is one of the most enjoyable water sport experiences to indulge in. You can try your hand at white water kayaking, breaking through rapids, riding currents or you could have a quiet day of exploration over calm waters as you paddle through, enjoying a glimpse of the scenic beauty that surrounds you. Get out there and explore the magic that the waters hold for you. Release your stress and revitalise your life by dipping your legs, or taking a plunge into the adventure that awaits you.